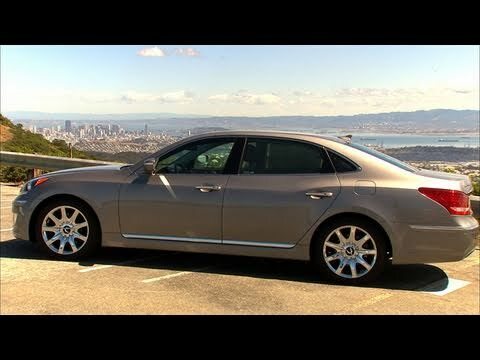 The 2011 Hyundai Equus is an automotive paradox. With high-end features and a bargain-basement price tag, the Equus makes all the other sedans in this segment look extravagant. Also, Equus owners enjoy Hyundai's "At your service" program, which includes free maintenance for five years/60,000 miles and free pick up at the owner's home in exchange for a loaner vehicle, meaning the owner never has to see a dealer's service bay. There was a very good warranty on the car. Love the look of it & it has been good mechanically. Navigation system could be better. Don't like the present volumes on the radio. Great ride and great style. What I love: size, luxury, features, style. What I hate: defective paint on front and rear bumpers, suspension issues.